Cheerleading Company is glad to help you and your team with the ordering process! Our experienced sales team is trained and ready to offer professional assistance every step of the way. With our quantity pricing, the more you buy, the more you save! Need our current catalog? Click here to receive your FREE copy! Our qualified Sales Representatives will be happy to assist you in the selection and color placements of your uniform. We can provide you with fabric swatches for you to correctly match your team colors. If you would like to see a uniform sample, we can arrange for a sample uniform to be shipped to you for examination. Be sure to use our convenient coloring tool to see our uniforms in your team colors! 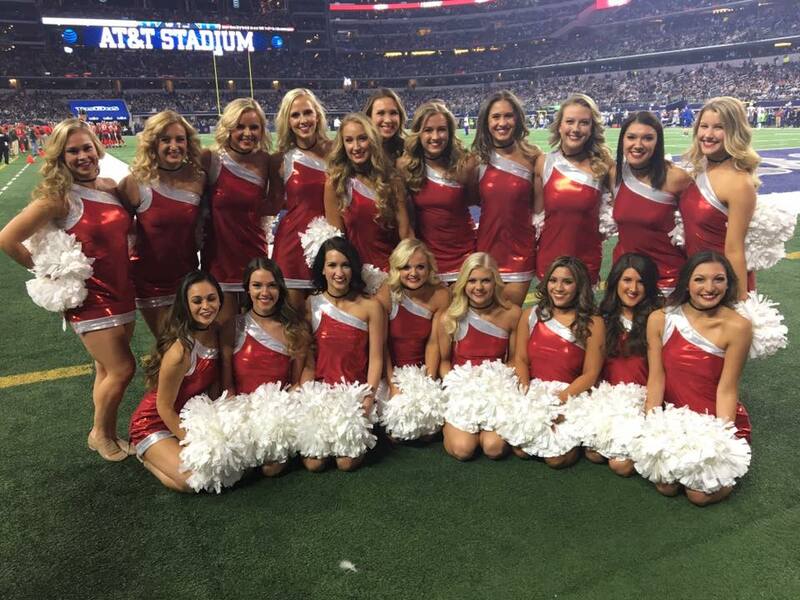 If you are in Texas or Oklahoma, we may have a local rep in your area who can fit your team in person! Please click here to use our Rep Finder tool! If you are not in an area serviced by one of our local reps, we offer our convenient FIT KITS for sizing! We also have online HOW-TO VIDEOS for sizing with our fit kits. For a small deposit, you will receive garments in a range of sizes, allowing you to inspect the fit and quality of our uniforms. With our Fit Kits, your team members are able to actually try on the uniforms to determine the best fit. We HIGHLY RECOMMEND this option. If you do not have time for a FIT KIT, you can see our sizing section here and choose sizes using our size charts. Does your league or team purchase uniforms and loan or rent them to team members each season? If so, you may want to order standard sizes (youth small, youth medium, youth large, etc.). Click here to see our ORDERING BY STANDARD SIZES section. In a hurry? See our IN STOCK uniforms, which are also available in standard sizes. Step 3: Give us a Shout! Send us your sizes, final style and color choices, and payment; we will do the rest! Do you have questions about our order policies and payment options? Simply click here, e-mail us sales@cheerleading.com, or CALL us toll free at 800-411-4105. * We know coaches are busy, and we save you time! Our state-of-the-art manufacturing system prints each team member's name on the garment tag inside the uniform. When you receive your order, you will be able to easily identify which uniform belongs to which team member without any additional paperwork. If you are a team that loans uniforms out each season, we can number the tags, helping you assign them out and check them in at the end of the season. * Get your accessories fast! In most cases, accessory items will be shipped out ahead of the uniform order, allowing you to distribute these items ahead of time. The uniforms will follow shortly after you receive the accessory items. * Our delivery time is the fastest in the industry! We can make your made-to-order uniforms in approximately two to three weeks during most of the year and three to four weeks during the busier summer months. We publish our up-to-date current manufacturing time on our website. All of our uniforms are proudly made in the USA at our Dallas, Texas manufacturing facility! * Your team may qualify for our pre-booking program. Pre-booking allows you to reserve "Production Time". If you decide early on that Cheerleading Company is for you, we can "book" production time to ensure a fast turnaround for your uniforms. This will help you even during the busy summer months. Please call us or email us for details. We are committed to quality, fast delivery, and outstanding service. We want you to be happy with the entire ordering process! See what our customers say about us – Click here! Give us a call at 1-800-411-4105 or e-mail us at sales@cheerleading.com, and let us service all of your Cheerleading needs.